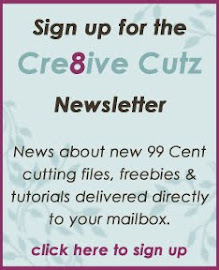 Have you checked out the Free Projects page yet? 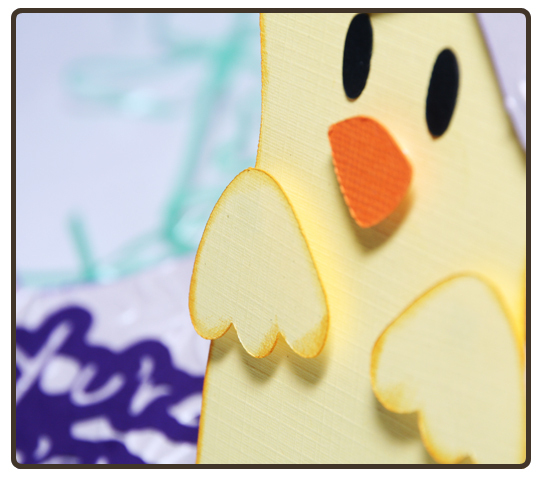 There are three free 3D projects that you can download and put together, all of them can be used for lots of different occasions. SVG and MTC files as well as written assembly instructions are included, but I thought I'd put together a video to show you how easy it is to assemble the Gift Bag, it's so simple and pretty! Enjoy. Be a little sassy with this stylish Bustier Purse, just added to the 99 Cent Store. It makes the perfect gift bag for a girlfriend, bride-to-be or even to hold bridesmaids' thank you gifts. The download includes SVG, MTC (for Make the Cut! software) and PDF files. 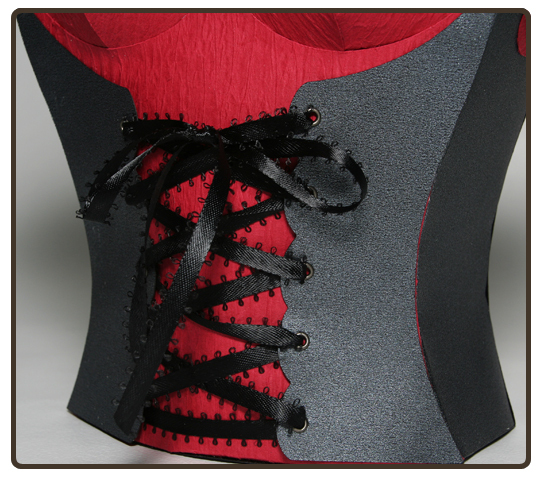 Assembly instructions with photos are also included.Click on any of the photos below to check out the Bustier Purse in the store. 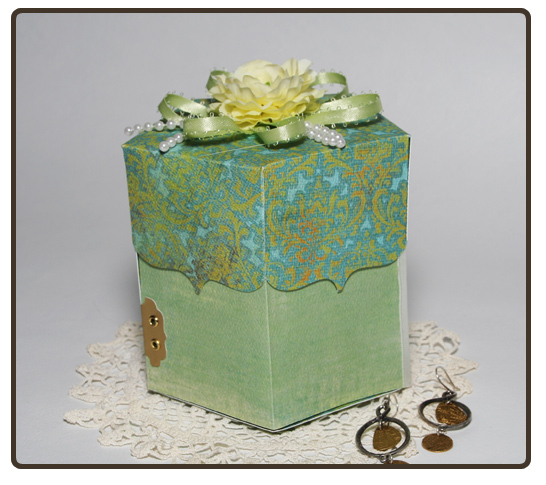 Store your treasures in this stylish Trinket Box, new in the 99 Cent Store. 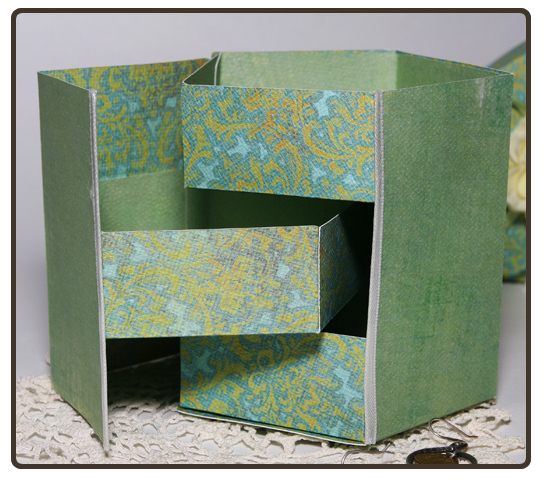 The lid comes off and the box opens up to reveal three interlocking shelves inside, each large enough to hold several trinkets. 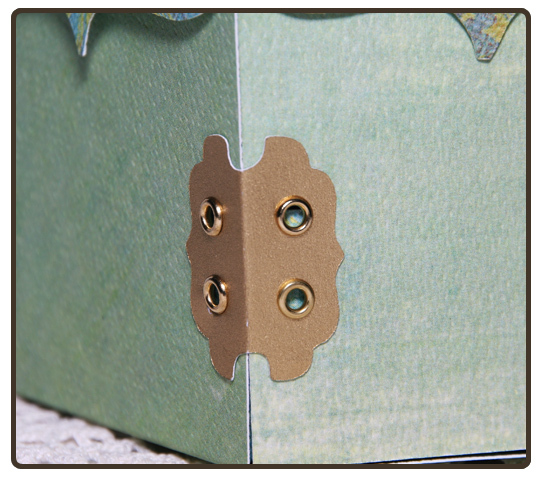 Coordinate the paper with your room decor for a pretty jewellry box. The download includes SVG, MTC (for Make the Cut! software) and PDF files. Assembly instructions with photos are also included. 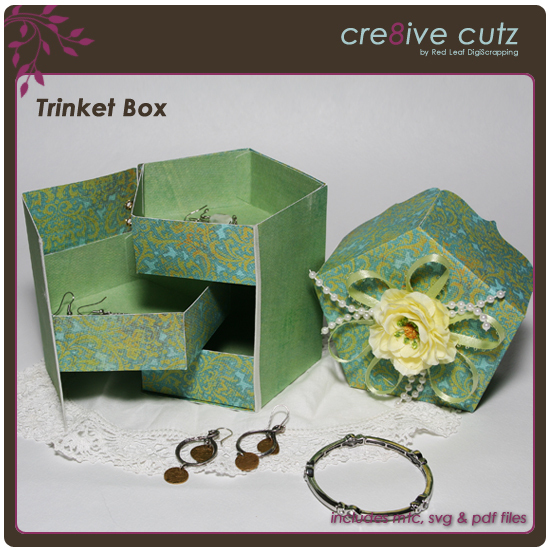 Click on any of the previews below to go to the store and purchase the Trinket Box. With the lid on, this is a pretty box that will dress up any room. Take the lid off and open up the box to reveal the treasures inside. Decorative hinges hold the door securely in place. 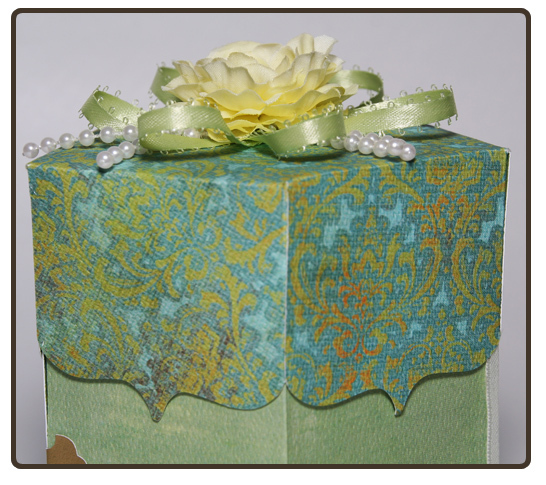 Decorate the lid with silk flowers, ribbon and more to finish off your Trinket Box. Happy Weekend everyone! I'm feeling summery today (even though we just had about 8 inches of really wet, heavy snow dumped on us a couple days ago!) 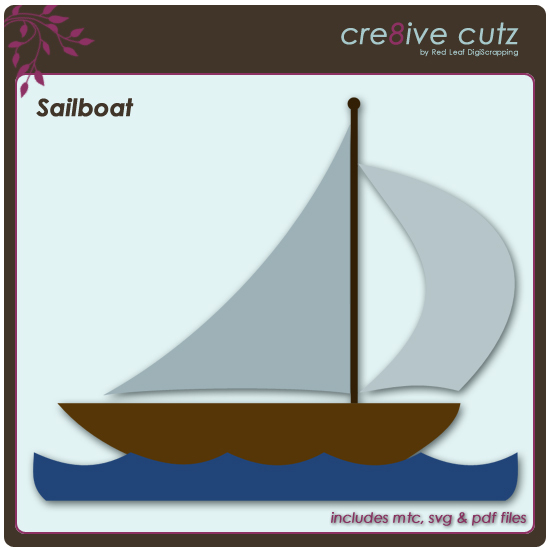 so here's a nice summery freebie for you, a sailboat clipping along at great speed! 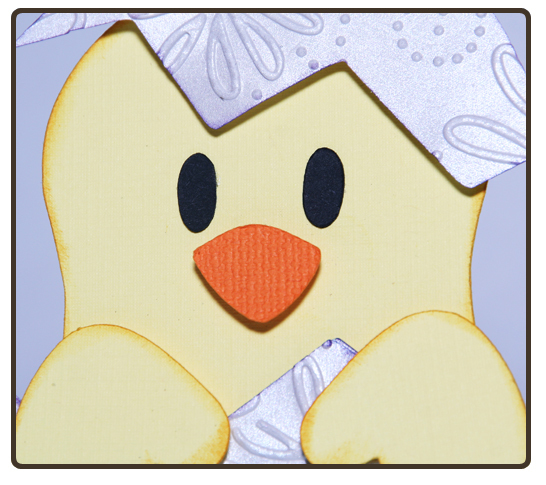 It can be used with or without the waves, and if you want to run the waves across the bottom of a scrapbook page, they can easily be duplicated and merged a couple times to create a longer wave. Layer up the waves and add a little baker's twine to the sails as ropes for some great dimension. I always love the Mojo Monday sketches for inspiration. 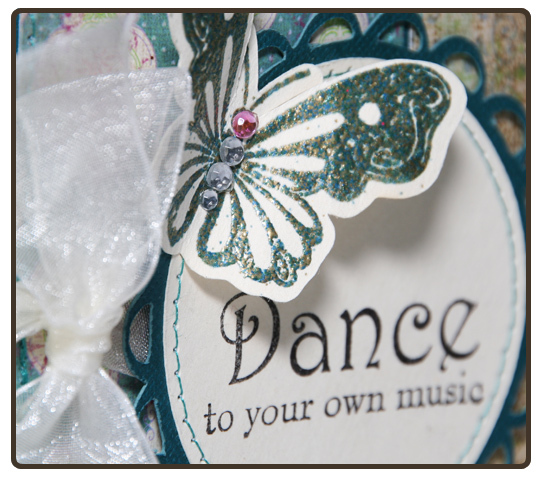 This week I needed to make a birthday card for my sister, she loves to dance but the last few years has been in a lot of pain because of problems with her hips. Well, in four days she's going to have a brand new hip, so I thought this sentiment was perfect, even though it's technically not a birthday sentiment. And here's my card. 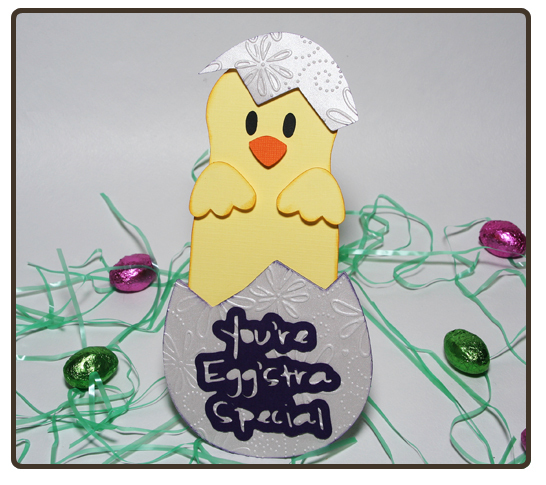 The patterned paper is from the Charlotte paper stack by K&Company. 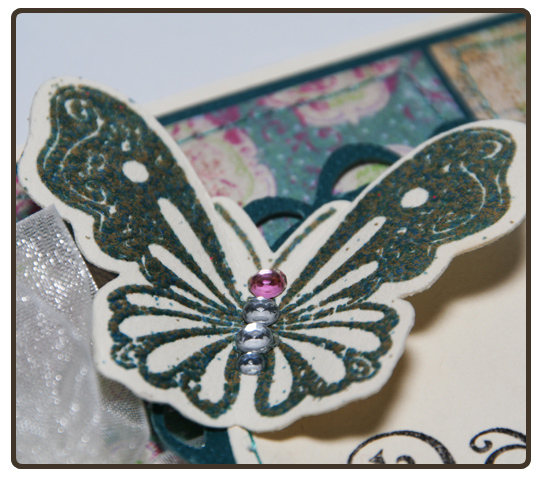 The butterfly stamp is by Recollections and the sentiment is from Thoughts for the Day by Inkadinkadoo. 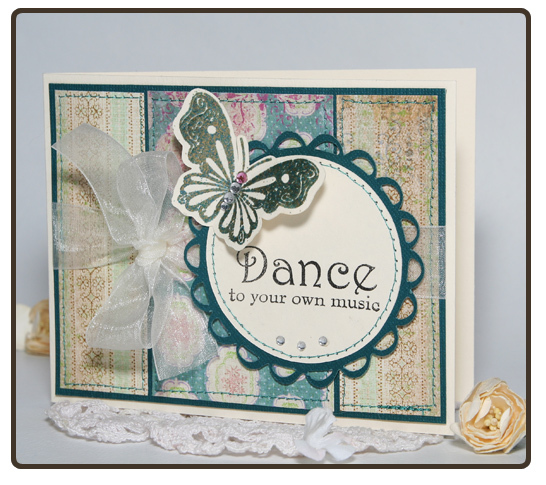 The scalloped border on the circle was created and cut with Make the Cut! 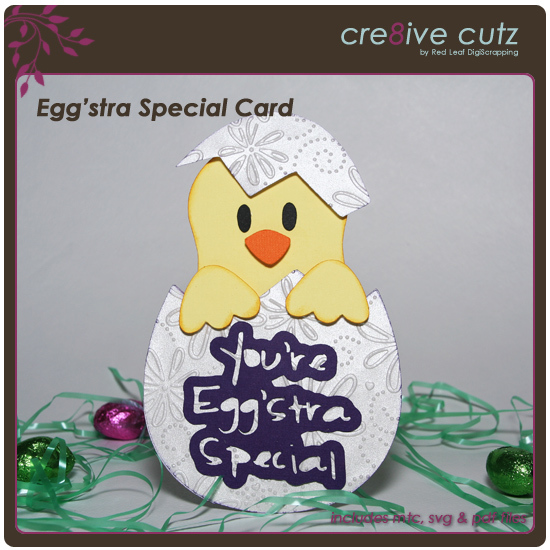 Delight somone egg'stra special with this adorable Egg'stra Special Card. 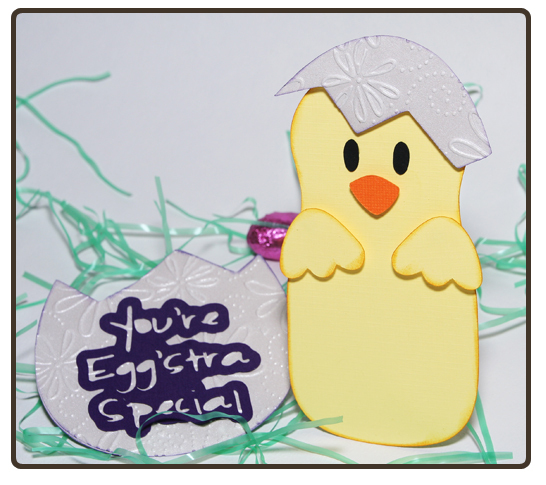 The little chick pops out of his shell with room on his body to stamp or write a special note. The download includes SVG, MTC (for Make the Cut! software) and PDF files. Assembly instructions with photos are also included.